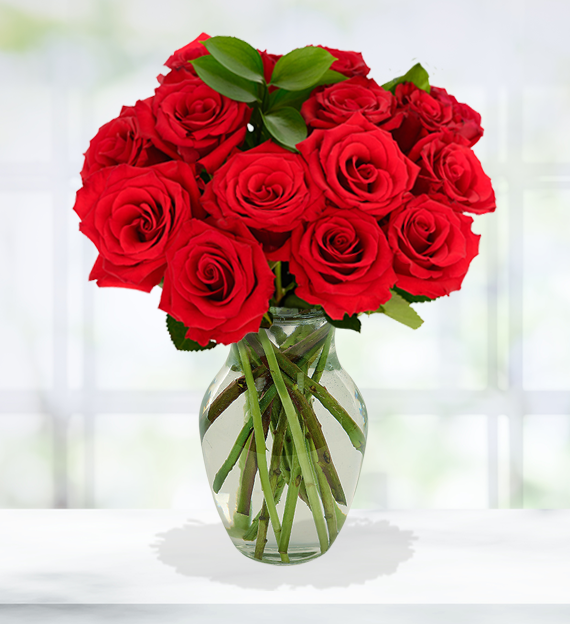 Capture their heart and attention with one or two dozen red roses. Seasonal assorted greenery are arranged to frame the stunning red blooms. There's no better way to show your love and affection than with this premium floral bouquet elegantly arranged in a lovely glass vase. Greenery or fillers vary depending on seasonality and availability.